You don’t need to engage with the Israel-haters. Do challenge lies online but remember that your key audience are the ‘undecided’ and ‘unconnected’ people who are watching. Be civil, don’t be polemic, state facts and truth in the way that people can empathize with. 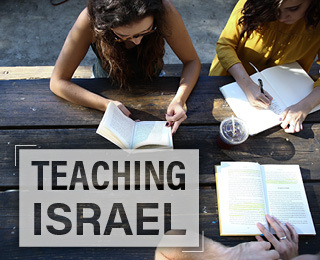 Not everyone may be focused on Israel as you are – connect to people based on their likes, hobbies and interests and link them to Israel. The key word: empathy. Try and get people to put themselves in the place of Israelis, to understand the challenges they face and the lives they lead. Stress Israel’s centrality to Jews: Israel is the only Jewish nation state, 65 years young and 3,000 years old. Israel, and no country, is perfect but we need not apologize for wanting Israel to leave in freedom and peace and for trying to make sure no harm comes to their citizens. Some people like countries. All people like people. So add an ‘i’ on the end of Israel and talk online about Israelis – the people. Hastags (#) are a great way to get your post noticed by people who will be interested. Images share best. Stunning images of Israel’s landscape, your vacation photos or attractive images of things going on in Israel will appeal to many. When the chips are down, Israel needs you most. 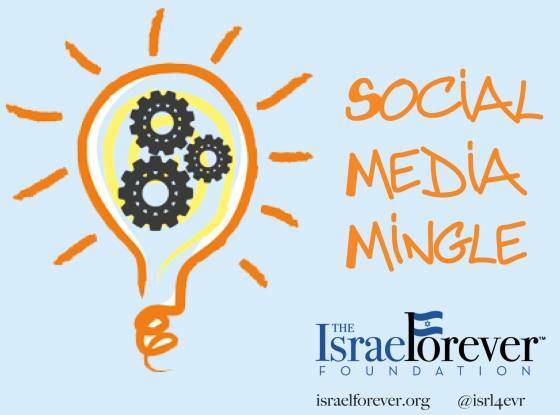 Social media often has more credibility than mainstream media so use it to tell Israel’s story, your way. There is always something you can do, petitions, polls and posts. This generation has more personal influence than any that has preceeded it. Use it – Israel needs you.. online! StandWithUs, a partner organization with The Israel Forever Foundation, is an international non-profit organization dedicated to informing the population of the world about Israel, and to help fight the hate and anti-Semitism. The members of the organizations come from the U.S, Israel, UK and France. They use print materials, speakers, conferences, missions to Israel and campaigns, both face to face and online to follow their mission. Michael Dickson is the Israel Director for StandWithUs. 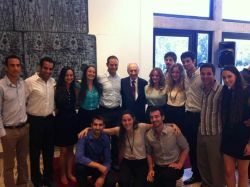 He is leading an international team, pioneering innovative Israel educational initiatives, hosting delegations of politicians, diplomats, academics and other people of influence, overseeing an Israeli Fellowship of the country's future diplomats and leaders and programs for thousands of students in Israel from all over the world. 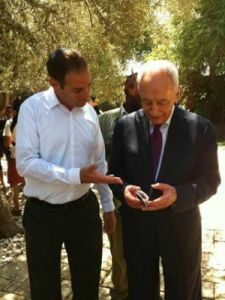 He has led diplomatic, academic and journalist missions to Israel and has advocated for Israel in different forums, including at the UN “Durban II” conference, in Europe, the US and in the Far East. 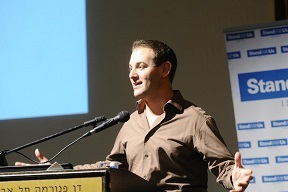 Dickson (35) was born in the UK and in 2005 made Aliyah. He now lives in Ra'anana with his wife and five children, doing what he loves for a living, and couldn't be happier. Click here to read more from Michael Dickson on better ways to show the world the truth about Israel.